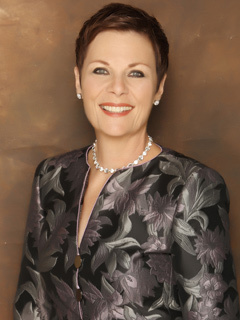 Jane Elliot, who by her own admission maintains a very private life, was born and raised in Manhattan. At the age of 31, Elliot created the role of the hell-raising Quartermaine daughter, Tracy. It was during her first stint on GH that the actress met and married cameraman Luis Rojas. When Elliot left GH and headed to ALL MY CHILDREN, the couple packed up and moved to Scarsdale, NY, with their son, Adrian. They amicably divorced after eight years of marriage, and Elliot ended up heading back West with her son and joining the cast of DAYS as the devious Anjelica Deveraux. The actress later landed a prime-time gig on KNOTS LANDING, as well as parts on the big screen in Baby Boom and Some Kind of Wonderful. Elliot adopted a daughter, Annie Rose, in 1989, when she returned to GH. Although she left for a second time, Elliot made a few brief returns while making the rounds as a guest star on a few series, including LAW & ORDER. She made her latest re-entry to GH in November 2003. On DAYS OF OUR LIVES, her love interest, Justin, was played by Wally Kurth, who portrayed her son, Ned, on GH. Starred on Broadway in The Impossible Years. Moved back to Los Angeles after living in Oregon "just to see what it was like." Won a Daytime Emmy in 1981 for Best Supporting Actress for her work on GH. Has provided voiceover talent for Dove soap commercials. Exclusive Sneak Peek: GH’s Tracy Defends Her Life!